The following table shows the performance of FTSE 100 stocks in 2012 (also with the ranking of each stock in 2011) . Comparing the stocks’ performance rankings in 2012 with the previous year at first glance might suggest an inverse correlation (i.e. stocks that performed badly in 2011 bounced back in 2012, and vice versa). For example, Lloyds Banking Group was ranked 1 in 2012 and 97 in 2011, TUI Travel 3 in 2012 and 89 in 2011, RBS 5 in 2012 and 95 in 2011. 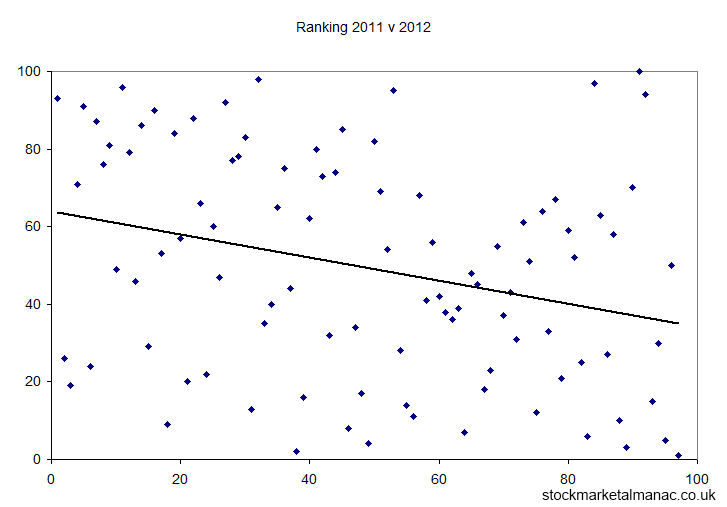 The following chart plots the performance ranking of stocks in 2012 against that in 2011. As can be seen, there is a very slight inverse correlation (illustrated by the trend line), but the (inverse) correlation is very weak, suggesting that performance in 2012 was not influenced by performance in the previous year. 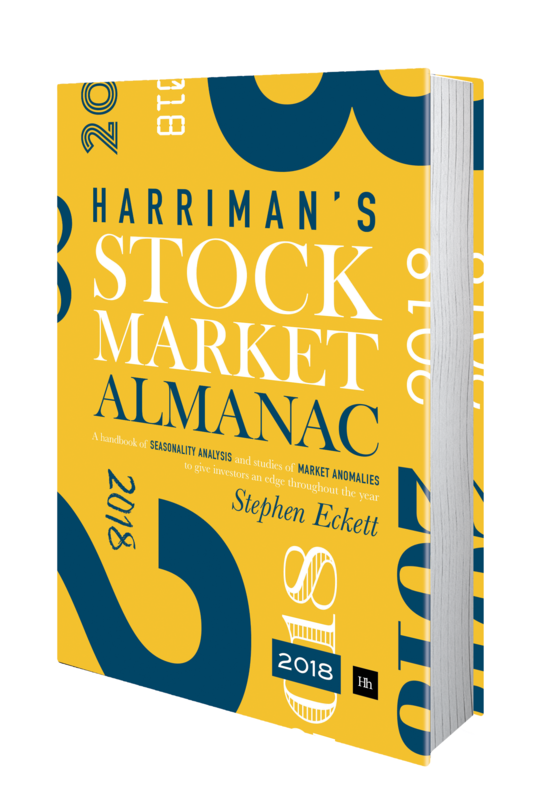 This entry was posted in Market, News, Stocks, Year analysis and tagged 2012, FTSE 100, stock by Almanacist. Bookmark the permalink.